No other Chicago Drone Service Company is more responsive and offers a higher level of Customer Service than NADAR. We are a single point of contact to help you get the most benefit from Drone Services from the beginning to the end of a project. We offer improved efficiency versus working with disparate individual pilots or companies for your Aerial Photography Services. Nadar is the premier Chicago Drone services provider for Commerical and Residential Real Estate Advertising, Construction Management, Architectural & Engineering Design, Land Surveying & Mapping, Event/Wedding Coverage, and Precision Agriculture. We are FAA Part 107 Certified and all of our Drone pilots are covered by a minimum $1 Million insurance policy. Browse our service details or contact us using the form below. We employ practices and procedures to insure safety is #1 in all our jobs. Our Chicago pilots carry $1-$10 Million Aviation Liability Insurance and follow strict FAA regulations and local ordinances. 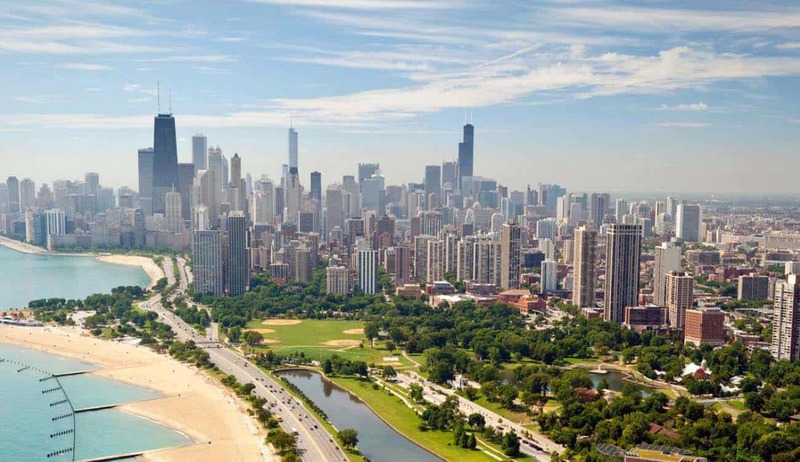 Chicago is in the state of Illinois which was one of the first states to enact drone laws under the Freedom from Drone Surveillance Act which applied to Law Enforcement. A later House Bill restricts drones from filming people in their homes without permission or flying over critical infrastructure. In 2015 Chicago instated it’s own Drone Ordinances. In addition to the FAA regulations, it is illegal to fly a drone in Chicago between the hours of 8PM and 8AM. Chicago has a very large ecIt’smy. Its actually the third largest in the United States overall. Chicago is also a very large financial center, and has the second largest central business district in the country. Manufacturing, printing, publishing and food processing are major jobs in the economy for Chicago. A lot of retail stores started out in Chicago like Sears and Walgreens.